Here's the thing about supervillains: there's one very specific level where they're almost always more interesting than the good guys. Superheroes are, after all, reactive; it's the nature of their stories. Batman's great, but unless there's someone out there doing crimes, he's just a weird rich dude sitting around in his basement with a rocket car and a butler. The villains are the ones who provide the inciting incidents and get things moving, and as a result, we as readers are drawn to them as the elements that drive the story. But like I said, that's just one level. A villain who's actually truly interesting on their own can be pretty difficult to find. Sticking with the earlier example, I'd go to bat — so to speak — for the Joker as being one of the all-time greatest villains in any medium, let alone comics, but I have zero interest in seeing a story where he's the protagonist. Considering that DC once tried to publish a Joker solo series and it only went for nine pretty forgettable issues, I don't think I'm alone in that, either. But while they might be rare, villains who are truly interesting in their own right do exist, and I've got a few favorites. We might as well get the obvious choice out of the way first, right? 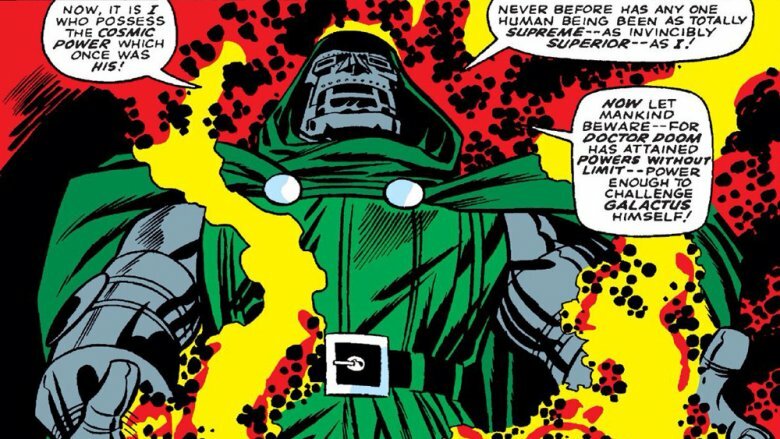 Victor von Doom is arguably the single greatest villain in comics history, and one of the greatest characters, full stop. He's incredibly adaptable, has a fascinating history that's given him an understandable motivation and an incredible amount of power. He's a technological super-genius who invented time travel and created robots so advanced that sometimes they don't know they're robots, and he's also a sorcerer who has battled against the Devil himself in order to save his mother's soul from Hell. And, like all of the best villains, he truly believes that he's right. That's a key element for Doom, because it allows him to get around the inherent problem that comes with being an antagonist: as cool as he is, he loses constantly. It's his function in the story as an antagonist, but for Doom, he can twist every one of his losses into something other than a personal failure — it's never his fault. It's always meddling from others, or some circumstance that was impossible to foresee, or maybe he actually meant to lose this time to set up a victory in the future. Plus, if all that fails, then you always have the excuse that it wasn't really Doom, just one of his many robot duplicates. He's so well-crafted as a character, with such a carefully cultivated veneer of honor wrapped around his core of bitterness and jealousy, that he's even occasionally tricked readers into thinking that he's something other than the ruthless mastermind that he is. 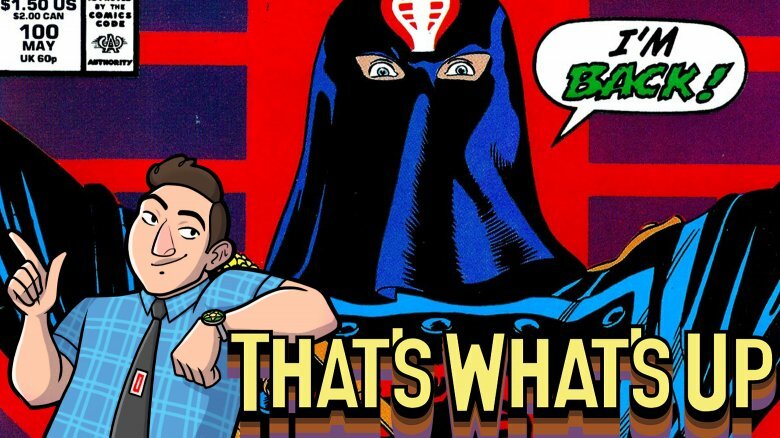 Listen: it takes a lot to be more interesting than four turtles mutated by mad science who are actually the reincarnated spirits of teenagers from feudal Japan who love pizza and skateboarding and also learned secret karate from their father, a rat. That's a pretty inherently fascinating idea, especially when you boil it down to the four words that make up the name of the franchise. Lately, though, I think Oroku Saki, better known as the Shredder, master of the Foot Clan, has a good claim on pulling it off. Part of that has to do with the push towards making him a more well-rounded character — or, if we're really being honest with each other here, making him a character at all. For a long time, he was just a standard-issue villain whose only distinctions were that he was literally covered in knives, and occasionally turned into pro wrestler Kevin Nash except also covered in knives. 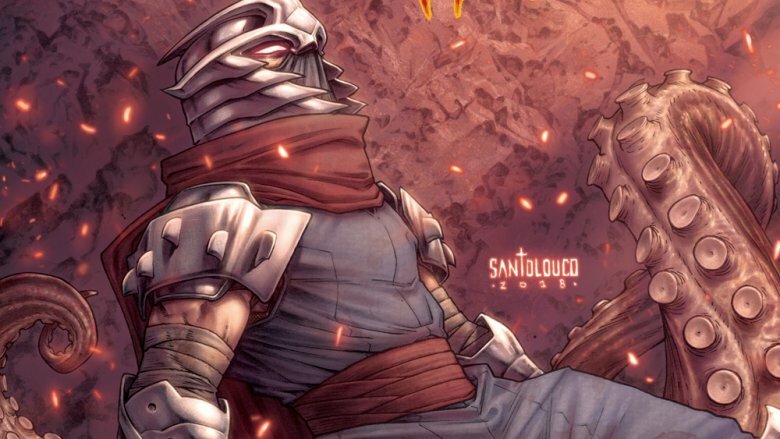 Ever since the Teenage Mutant Ninja Turtle comics were rebooted over at IDW, however, Shredder has been getting more and more complex, in a really interesting way. As it stands, he's now a ninja clan leader from feudal Japan who was convinced by a shapeshifting witch that he should use alien magic to essentially become immortal so that he could wake up in the 21st century and conquer the world through ninja murders, except while he was asleep his soul went to Hell where he encountered his own future soul, which had conquered Hell, and murdered it before waking up so that he could fight the mutant turtle reincarnations of a rival's family that he killed back in feudal Japan. That's… that's a lot to deal with. And that's also a dude I want to see more of. Sometimes, villains aren't interesting because they're fun to read about, or because they have cool backstories that make them work in different kinds of stories. Sometimes, they're interesting because of what they represent, and there's no better embodiment of that than the Tiger-Force at the Center of All Things, Darkseid. These days, he's usually positioned as a foil for Superman or the Justice League, but when Jack Kirby introduced him in the '70s, he was meant to be the opposite number of the New Gods of New Genesis. The thing is, aside from Mister Miracle, Big Barda, and occasionally Orion, the New Gods aren't that interesting. Darkseid, however, is inherently compelling, because at the core of his being, he's us. He's literally the dark side of our personalities given form, every negative thought and every moment of selfishness or regret shaped into a villain who taunts us from the page. 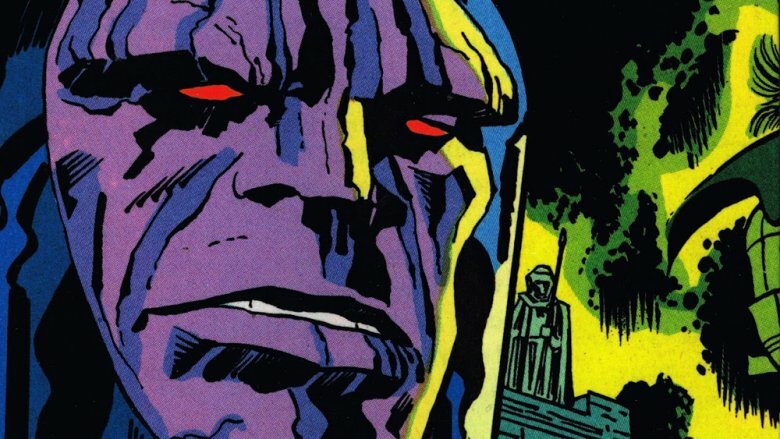 When he says things like "when you cry out in your dreams, it is Darkseid that you see," he's not kidding — we're the ones who create those terrible nightmares for ourselves. That makes him fascinating, because it puts him on a completely different level than other villains. Despite some stories that treat him like any other giant monster from space, Darkseid can't be defeated by punching him. He is and always will be, because we all have to make that active choice to not become him in our worst moments, even though we know that we'll eventually fail in one way or another. That's a setup that forces us to think about him in a different way, and when he's done right, that's what makes him fascinating. Occasionally, there's a villain that's so much more interesting than the hero — or in this case, the heroes — that he winds up flipping around and taking over the story entirely. That's exactly what happened when Marvel launched Tomb of Dracula in the '60s, and that really shouldn't be a surprise. I mean… it's Dracula. He's a very interesting character, as evidenced by the fact that he's also more interesting than any of the terrible Victorians who are ostensibly the heroes of the novel on which everything else is based. Despite the title, the original setup of Tomb of Dracula was that Dracula would serve as the antagonist. At the start, the book was actually focused on a new group of heroes made up mostly of the descendants of the characters from the novel, led by Frank Drake, a descendent of Dracula himself. Drac's resurrection in the first issue is, like most villainous plots, just the inciting incident to get everything together for what feels more like an early '70s prototype for Buffy than anything else. 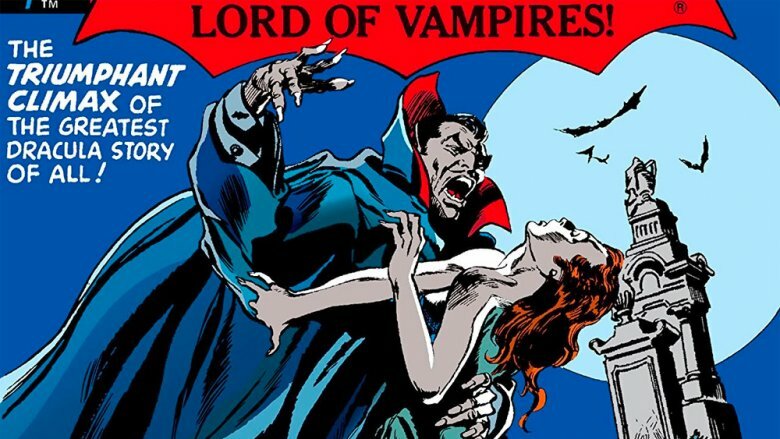 Before long, though, it becomes clear that Frank's crew are kind of a snooze and Dracula actually rules, thanks largely to a design from the amazing Gene Colan and the kind of overblown dialogue that only early '70s Marvel Comics could deliver. The "good guys" stick around, but by the time the first year is out, Dracula has taken over the book, to the point where you get to #50 and he's fighting the Silver Surfer while yelling things like "Fool! The Prince of Evil is never helpless!" That kind of presence doesn't leave much room for anyone else. On the other side of the spectrum, we have incredibly charismatic villains faced off against heroes who, whether by design or not, just don't have the kind of presence to keep you reading. The best example I can think of? G.I. 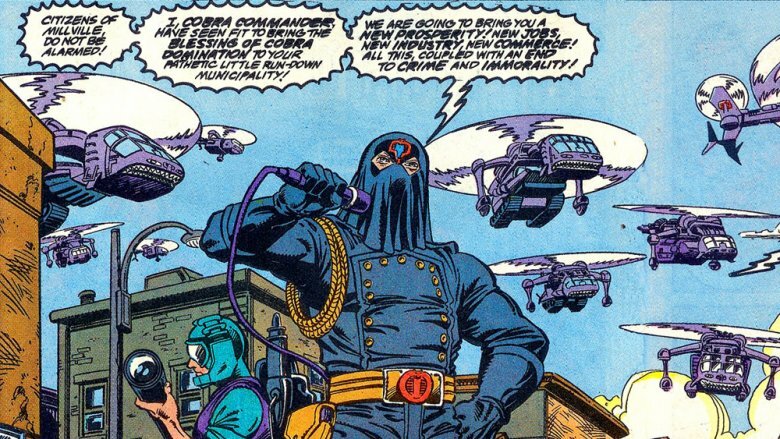 Joe, in which Cobra Commander, Destro, the Baroness, and even lower-tier characters like Zartan and Dr. Mindbender are way more interesting than the Real American Heroes that they're fighting against. Part of that has to do with how the comic was structured, of course. Since it was tied into a toy line, that meant that characters had to be introduced whenever there was a new wave of action figures ready to go out, rather than when the story called for it. The great Larry Hama, who's been the primary creative force behind Joe for the past 35 years, once said that he never plotted ahead more than "two or three pages at most," and I suspect that's why. The twist to that, though, is that there are more Joes in the line than Cobra enemies, which means that while characters like Duke and Roadblock showed up to take over for that first wave, Cobra Commander got to stick around and weave this incredibly complicated backstory about how he was a used car salesman who became disillusioned with America and decided to create a pyramid scheme that would eventually become a terrorist organization determined to rule the world, and who also decided that the best way to do that was by building a Weather Dominator or cloning a new super-soldier from the DNA of Alexander the Great and Dracula. He is far and away the most interesting character in the book, and when you throw in the interplay between the Commander and his metal-faced weapons-dealing pal, he's the most enjoyable one to read, too. I mentioned above that one of the key elements for a great villain is that they always have to believe they're right. 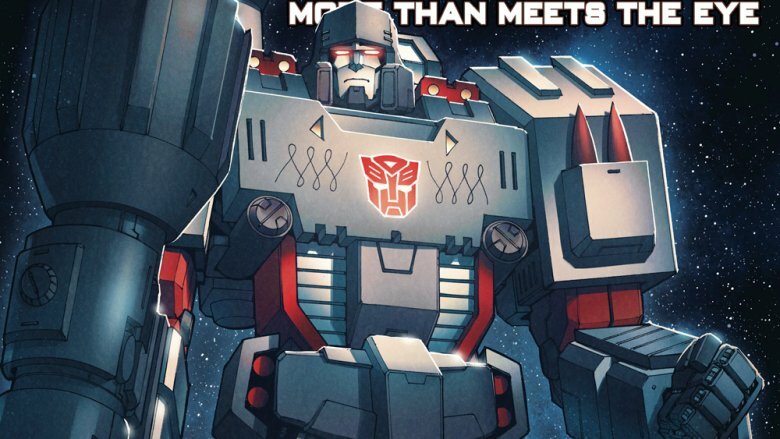 The thing about Megatron as he's portrayed in Transformers: More Than Meets the Eye and Lost Light — a saga that I'd put forth as one of the best comics of the 21st century bar none — is that he actually is. He just took things too far, and wound up becoming one of history's greatest monsters over the course of a war that lasted 4,000,000 years. MTMTE operates on the idea that back in the day (four million years' worth of days ago, anyway), Cybertron was home to a "Functionalist" society. It's the kind of thing that only makes sense when you have a cast of robots that turn into other things, but it's a pretty interesting metaphor: whatever you turn into determines what you do for the rest of your life. If you're a robot who transforms into a mining vehicle, then congratulations, you're a miner. No choice necessary, or allowed. Megatron's initial revolution was to push back against that, demanding that the Cybertronians be allowed to choose their own destinies, regardless of what they were "made" for. Here's the ironic part: while Megatron himself spun this particular reasonable idea out into a mission of galactic conquest and genocide, seeking "peace through tyranny," that idea of equality and choice became the cornerstone of what his enemies came to stand for. All that stuff that Optimus Prime says about how "Freedom is the right of all sentient beings" originates with ol' Megs, and Megatron, in turn, grows to hate them for it because they keep standing in his way. It makes him a more complex character than you'd expect from a bad guy who we mainly know is bad because he can turn into a gun. If we can stretch out beyond comics for a second, I think it's worth noting that video games and their associated fiction have a wealth of villains that are more compelling than the heroes. It's the natural outcome of a medium that allows you to be a participant; the less you know about the hero, the easier it is to project yourself onto them. Meanwhile, the villains get to be as crafted and compelling as they want, because, once again, they're the ones actively driving the story. Thus: Jessie and James, two complete weirdos who steal the show every time they show up. By contrast, we have our protagonist, the eternally youthful Ash Ketchum, who has no real personality to speak of. He's entirely motivated by a desire to catch 'em all, and friends, that's not a personality. It's a catchphrase. There's nothing else to him, because there doesn't really need to be — the show is tied to the games, and since the games are built entirely around catching Pokémon, that's all they need to give Ash to make him a recognizable protagonist. Almost everything about your player character in a Pokémon game is something you make up while you're playing, so the less there is to conflict, the better off they are. The villains, however, can get buck wild. 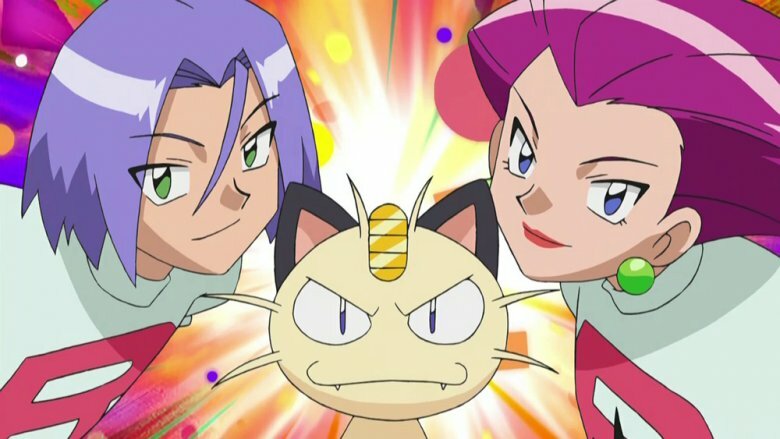 Jessie and James (and Meowth, for that matter) have these ridiculously complex backstories. James was a rich kid who ran away from home to avoid an arranged marriage! Jessie grew up so poor that she had to eat snow instead of food, and then joined a gang where she fought people with a chain! Meowth taught himself how to speak human language because he fell in love and was rebuked! If you can tell me one thing about Ash Ketchum that's more interesting than that (aside from maybe the whole thing where he died and was resurrected by magic Pikachu tears), then I will be absolutely shocked. Okay, one final example, and while it's not from the pages of superhero comics, I think it's an important one for seeing how this stuff can work. Let's talk about Stone Cold Steve Austin and WrestleMania 13. 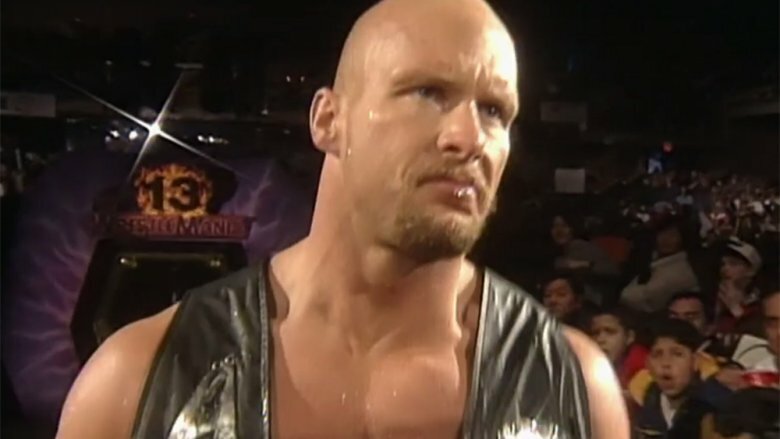 While he would eventually become the most popular fan-favorite of the late '90s, the moment that really makes Steve Austin came at the end of a story where he was 100% portrayed as the bad guy. He was a violent, unstable redneck who would come to your house and beat you up if you stood in his way, positioned against Bret Hart, who had always been portrayed as a heroic technical wrestler who was so nice that he gave his weird Jubilee sunglasses away to kids. There are no real shades of grey in that setup, but when they had their match at WrestleMania, the alignments of both characters shifted in a double turn. It's incredibly difficult to pull that off, but the key moment came when Hart locks on his finishing hold and Austin, with blood streaming down his face, refused to tap out. He never quit, and Bret won the match only because the referee stopped it — and then when Bret realized that he couldn't make Austin quit, he attacked his unconscious body after the match in frustration. It's perfect, and while Austin had been gaining fans already, this was the moment that he officially shifted from bad guy to full-on fan-favorite protagonist. His actions never really changed, but when the fans saw the motivation behind them, they rallied as supporters. Which, if you want to tie it back to comics, is basically what happened with Harley Quinn.